Retired Air Force Major General Dr. Byron Hepburn leads the charge at the Military Health Institute at UT Health San Antonio. Byron Hepburn, M.D., retired from the U.S. Air Force as a Major General in 2014, after a career stretching back to his first days at the Air Force Academy in Colorado Springs. His retirement has been anything but quiet: He’s now the inaugural director of the Military Health Institute at UT Health San Antonio. It’s just four years old, but the Institute has already made impressive strides. By working in collaboration with city, state and federal governments, along with non-governmental organizations, the MHI strives to improve the health and well-being of veterans, service members and their families. According to the Department of Veterans Affairs, as of 2016 there were 20.4 million veterans in this country. Additionally, there were 2 million active duty and reserve duty military service members. 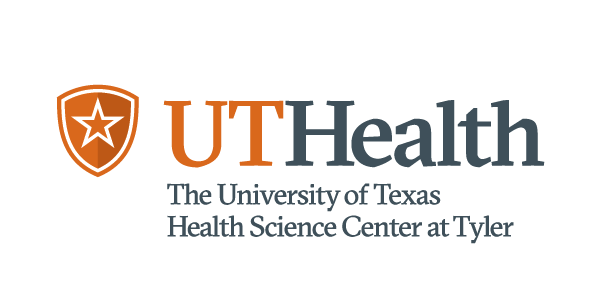 While the MHI is primarily focused on activities at UT Health San Antonio, Dr. Hepburn is also part of a University of Texas System working group to enhance research partnerships with the Defense Health Agency. The Military Health Institute promotes collaborations in education, research and clinical care. For example, the MHI’s pilot project grant program is fostering military-medical research on infectious diseases, trauma surgery, caregiver support and other topics. The MHI provides workshops on Department of Defense funding processes and hosts a distinguished lecture series in military medicine. In addition, the MHI co-sponsors an annual San Antonio Military Health System and Universities Research Forum (SURF), and actively mentors UT Health San Antonio students through a Military Health Interest Group. Before joining UT Health San Antonio, Dr. Hepburn led the largest medical wing in the Air Force and was Director of the San Antonio Military Health System. He credits his diverse military background with ideally suiting him for his current leadership role at the MHI. After serving as a pilot of Air Force aeromedical aircraft, transporting patients across Europe and the Middle East, Dr. Hepburn transitioned to medicine. When he retired, he was one of just 15 pilot-physicians in the Air Force and had more than 3,000 flight hours under his belt. He has carried the skills he learned in both professions into leadership positions throughout his career. Other leaders are helping Dr. Hepburn to fulfill the missions of the Military Health Institute. Donald Jenkins, M.D., a noted military trauma surgeon and current Professor of Surgery at UT Health San Antonio, is now the Associate Deputy Director of the MHI. Alan Peterson, Ph.D., a Professor of Psychiatry at the university and an expert on combat-related post-traumatic stress disorder, is serving as the Institute’s Associate Director for Research. To enhance its effectiveness, the MHI established an external advisory committee that provides insights by members from The University of Texas Southwestern Medical Center at Dallas, the Mayo Clinic, Johns Hopkins University, the University of Pittsburgh Medical Center and the Uniformed Services University of the Health Sciences. To ask questions about or send comments to the Military Health Institute at UT Health San Antonio, click here.